There’s been a rash of bad rap recently around the Reinhart and Rogoff flub while using Microsoft Excel to analyse historical statistics of economic growth and public debt and which then subsequently went on to be used by some of the leading global economic powers to supposedly make fiscal decisions. Statistician Andrew Gelman wrote a fairly balanced article on the subject that you may be interested to read. Does this latest revelation make that much of a difference to businesses that are still heavily dependent on Excel, I think not. I recently watched an episode of SKY television’s Strikeback starring Charles Dance playing villain Conrad Knox. One of the pieces of dialog was around one of his first jobs where he was responsible for a spreadsheet which he described as having debits on one side and credits on the other and how, whether your name reflected a debit or a credit determined whether you were good or bad business for his employer. 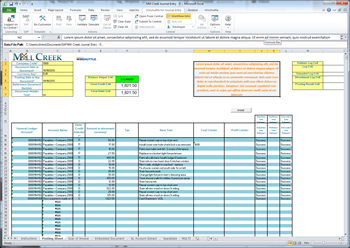 In the realm of accounting a “spread sheet” or spreadsheet was and is a large sheet of paper with columns and rows that organize data about transactions for analysis. Not only does the piece of paper often occupy a significant amount of desk real-estate when ‘spread’ out but it also ‘spreads’ or shows all the values related to one another on a single sheet of paper examination and decision making. In a past life I worked on a number of different spreadsheets that were paper based to provide analysis by period of tax charges, interest calculations and costing estimates. Few new initiates in the world of the Excel spreadsheet realize that the shift from a paper spreadsheet to an electronic one was a major innovation and one that has been almost impossible, despite best efforts from IT managers, to displace. In 1978, Harvard Business School student, Daniel Bricklin, came up with the idea for an interactive visible calculator. Bricklin and Bob Frankston then co-invented or co-created the software program VisiCalc. VisiCalc became an almost instant success and provided many business people with an incentive to purchase a personal computer. In the end, about 1 million copies of the spreadsheet program were sold during VisiCalc’s product lifetime – small potatoes by today’s standards but a significant achievement in its day. Lotus 1-2-3 made spreadsheets even easier and fended off rivals like QuattroPRO but it was Excel, originally written for the Apple Mac in 1984/5 that was ultimately to become the de facto standard for the electronic office. Possibly one of the most important aspects of Microsoft Excel that many new initiates don’t appreciate is that Excel is a treasure trove of rich functionality and power. 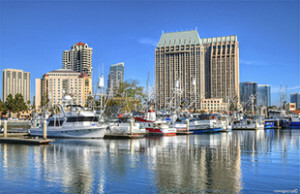 Every year at the Winshuttle User Group meeting, I am amazed to discover something new and innovative that a customer might be doing to make the lives of employees easier for the gathering, collation and adjustment of SAP data and this year, the WUG in San Diego will be no different. In the Winshuttle community we have a large number of unabashed lovers of Microsoft Excel. For those who continue to be concerned about business dependence on what seems to be a rather unstructured platform like Microsoft Excel the great news is of course the ongoing and controlled experience that can be had from using Microsoft Excel for SAP with Winshuttle. 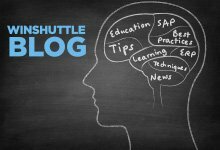 Winshuttle’s end-to-end platform is used daily by thousands of novice and expert SAP users alike, for transaction automation and business process optimization. The ability for example, to use centralized Excel templates with integrated SAP interfacing technology deployed without programming is a distinctive feature. 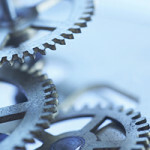 The overall business process can be further enhanced by wrapping those same Microsoft Excel templates with Winshuttle Foundation workflows which enable routing of the spreadsheets to others in the business for review before the data is ultimately created or updated in SAP in a controlled, efficient and dependable way.